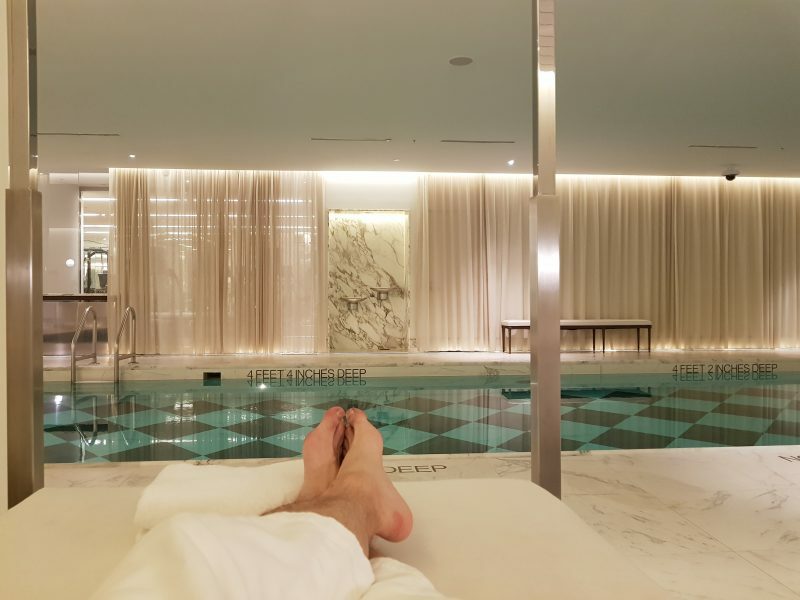 If you are a fan of high luxury retreat places, then Spa de La Mer at Baccarat Hotel New York is for you. Not only a masterpiece in term of design and service exigency, it’s also a great location for Spa treatment. 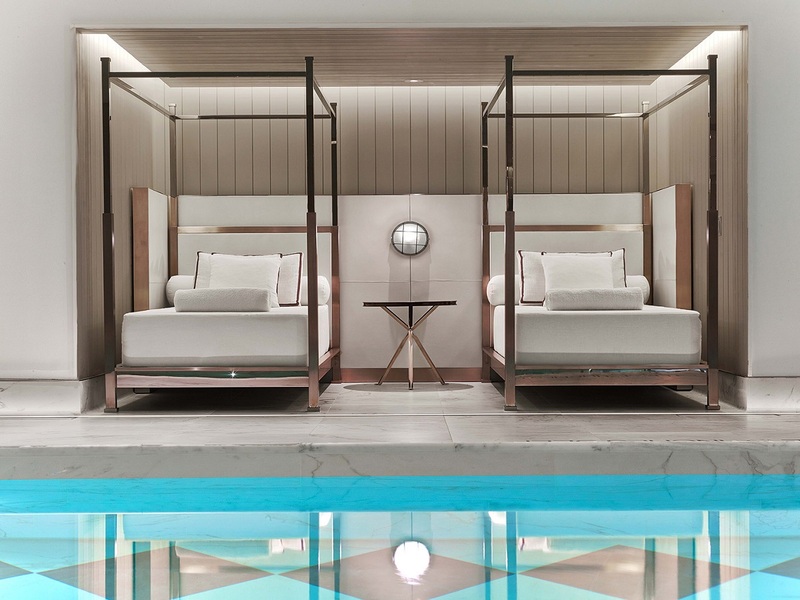 In the most upscale location of New York – the Fifth Avenue – the Spa de La Mer hosts guests in the luxury case of Baccarat Hotel. It’s actually the first Spa of the brand operating in USA and believe me, they did a great job. 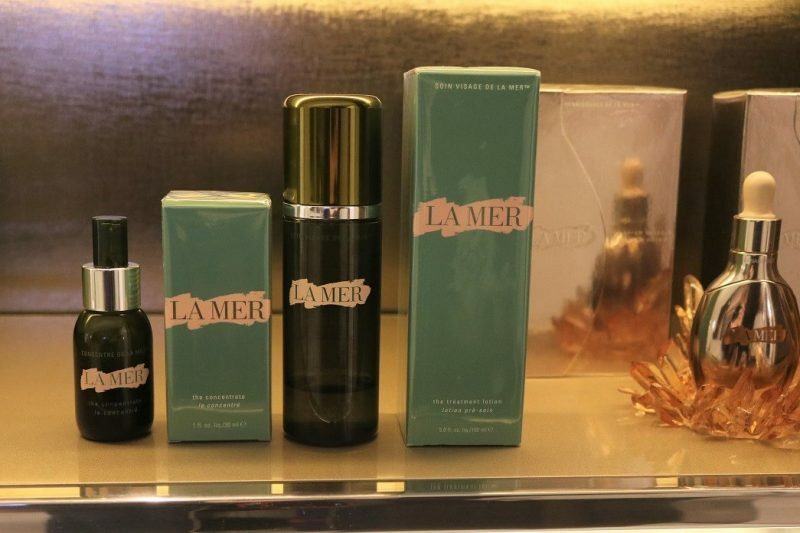 I decided to pamper myself there for a whole afternoon and experience what they have to offer through a 60-min La Mer Custom Facial treatment. Fantastic! 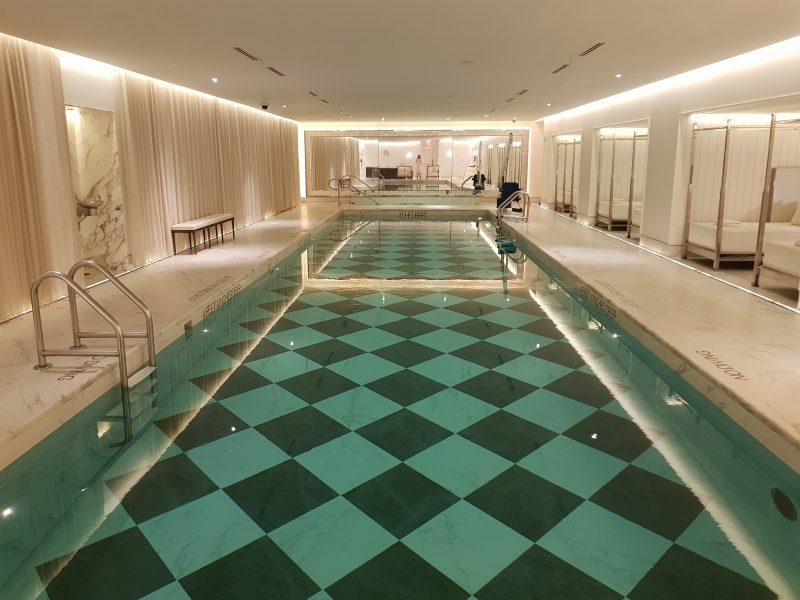 Spa de La Mer is settled in Baccarat New York Hotel’s basement and has a boutique size. The pool area is pretty large though, with its jacuzzi and cabanas-like lounges by designers Gilles & Boissier. Actually they envisioned the spa to be reminiscent of a luxurious European seaside retreat. Due to its small size it’s very quiet and cozy, which enhances the opulence atmosphere of the place. Brilliant! Don’t forget the fitness center and its latest high end equipment; one of the best I ever seen. There are nine treatment rooms at Spa de La Mer and this is coherent with the size of the spa. The design is less opulent than visible areas, more low-profile and that’s pleasant. Quality of massage table and linen is very high, while the construction of the room is awesome: once the door is closed, you don’t hear anything from outside and are really like in a pampering cocoon. 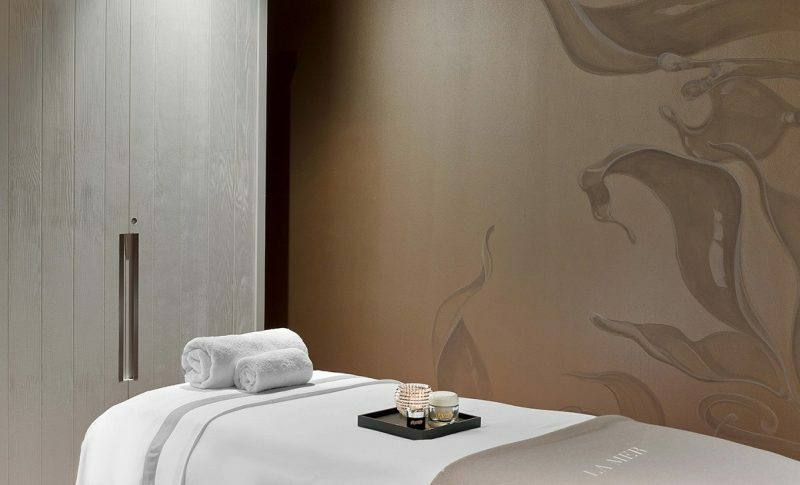 I enjoyed a 60-min La Mer Custom Facial treatment in one of them, on a fully reclined table with low light and soft music. Lovely. My therapist Jenny introduced me the concept of La Mer and the signature ingredient found in all products: the Miracle Broth. It is a combination of fermented sea kelp and other natural ingredients, which are infused with light and sound energies. Then Jenny explained me the La Mer Custom Facial: first she cleans my skin and its pores, then she prepares a specific and custom-made mixture to deeply hydrate my skin and tighten it. Finally, she applies a facial massage tailored to me. And so she did, perfect! Whatever you come at Spa de La Mer because you stay at Baccarat New York Hotel or from outside, spending an afternoon there is wonderful. Start with a 1-hour fitness session, chill at the pool, enjoy light lunch and finish with a delightful spa treatment. On top of that, I have to mention the incredible service quality from the staff: proactive, smart and simply chic! Visited on November 12th, 2017 – Sponsored media visit, but this article reflects 100% of my opinion and thoughts. Baccarat New York hotel opened in March 2015 and is composed of 114 rooms and suites. I experienced a 60-minute facial treatment at Spa de La Mer which public rate starts at USD225/person. 10019 New York, NY, USA.